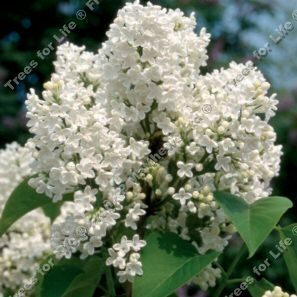 Madame Lemoine (Syringa vulgaris 'Madame Lemoine') is a delightful small lilac tree / shrub. Noted for its dense bunches of large, highly fragrant, double white flowers, this is a superb lilac. The flowers begin green-yellow but open pure white. Of broad spreading habit. A small height tree / shrub, so expect a height of up to 4 metres (13 foot) after 10 years. Depending on stock levels, you may be sent a multi-stem option. If you absolutely must have a multi stem option because your world will come to an end unless you have one, please contact us first to make sure we have them in stock.